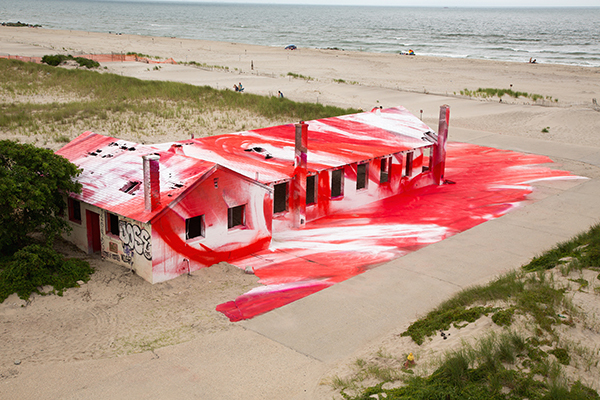 This incredible art installation called Rockaway! 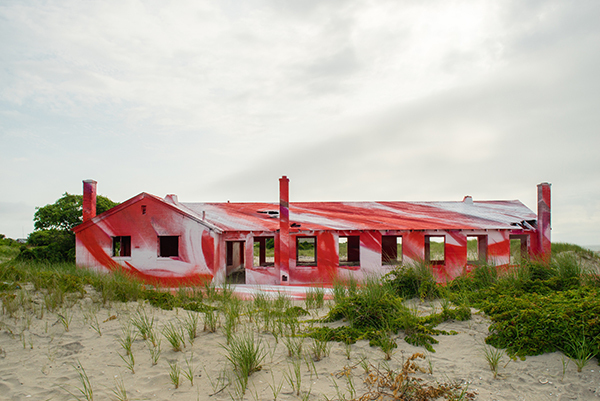 is an old aquatics building at a former US Army base in Fort Tilden, New York. 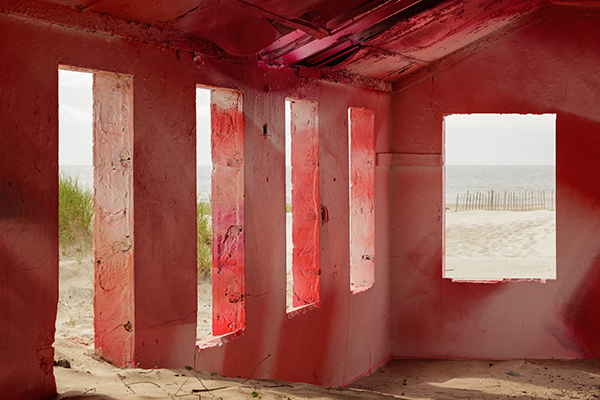 Structurally unsound due to the affects of hurricane Sandy in 2012, the abandoned building is set to be demolished later this year. 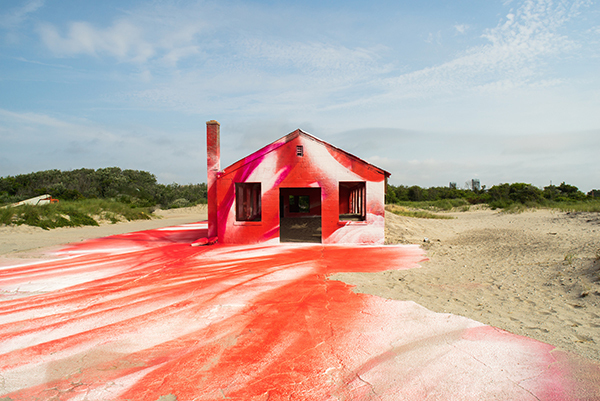 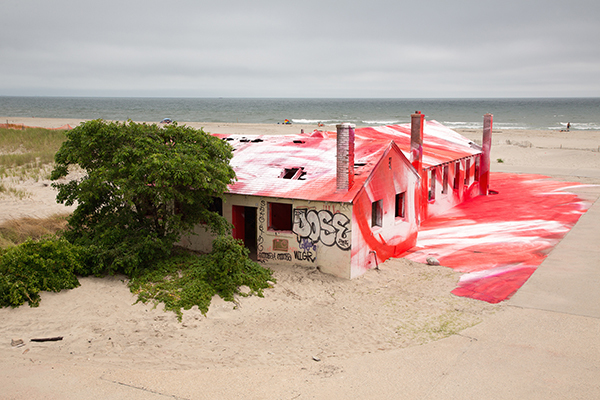 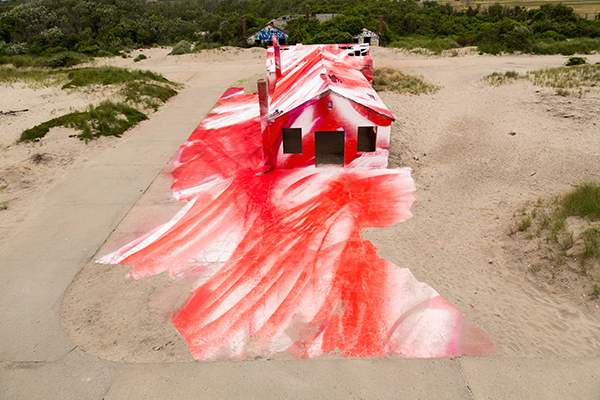 Artist Katharina Grosse was commissioned by MoMa PS1 to create a work of art that would bring awareness to the Rockaways and Jamaica Bay, as being one of the most fragile ecological zones in New York City. 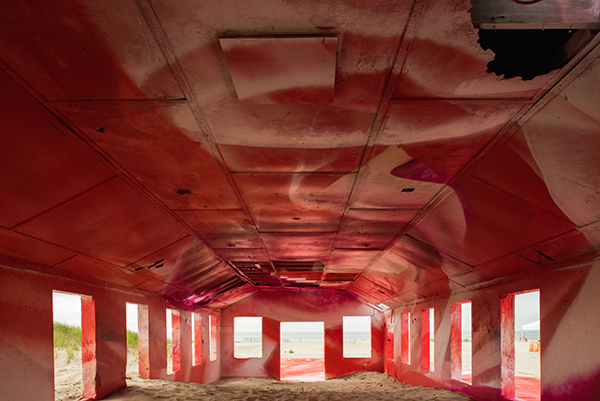 The public art installation was a collaboration with Rockaway Artists Alliance, Jamaica Bay-Rockaway Parks Conservancy, National Park Service, Central Park Conservancy, NYC Parks & Recreation and Rockaway Beach Surf Club, as well as being supported by Bloomberg Philanthropies. 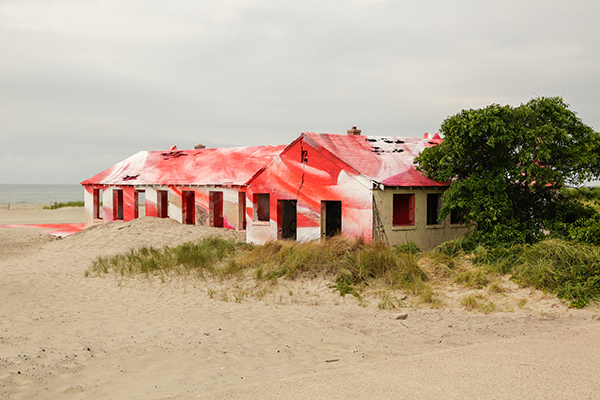 The derelict building, including the interior, was spray painted in vibrant oranges and reds – colours inspired by the sunset, creating a beacon of colour on the beach.